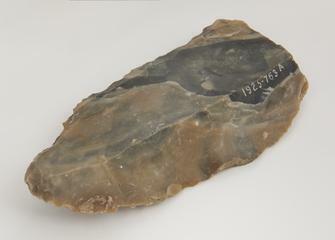 Flint hand tool, side-scraper, made in the Stone Age. 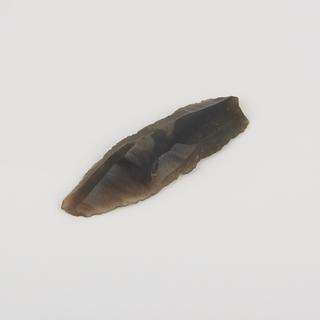 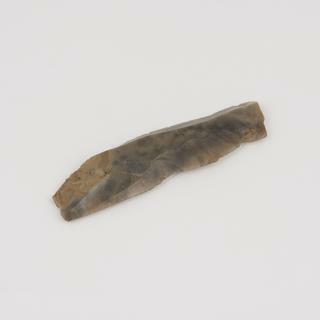 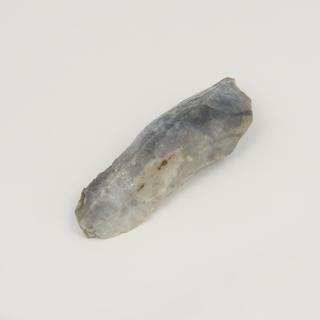 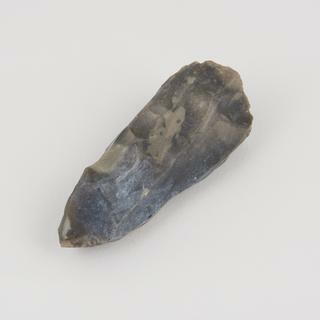 Flint hand tool, core-type, Stone Age. 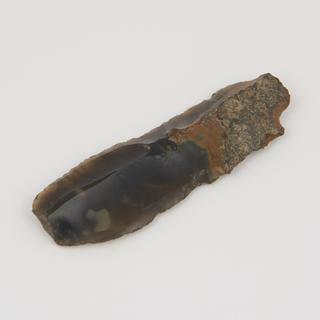 Flint hand tool, flake type, Stone Age. 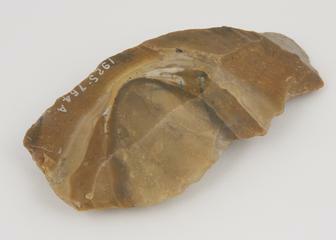 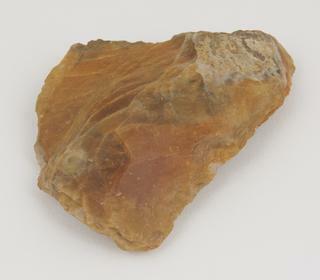 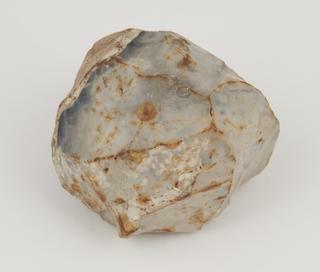 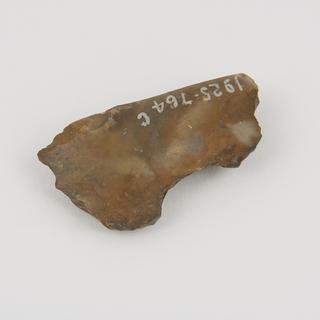 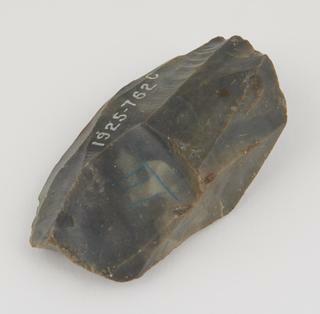 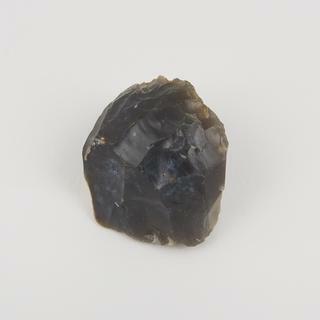 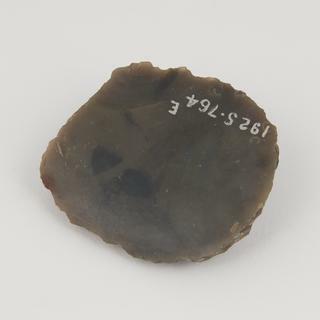 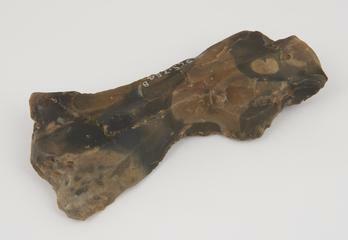 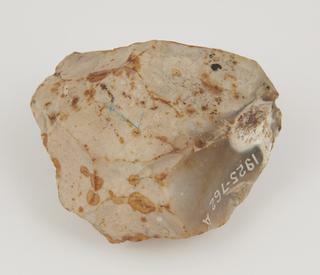 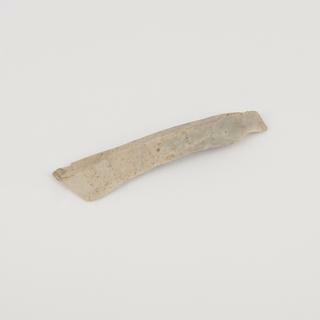 Flint hand tool, scraper from the Stone Age, thought to have been found in East Anglia, England, 8500-2000BC.